We will explore forms that lend themselves to making a Big presence. This class is going to be fun and lively. We will be taking risks and loving it! 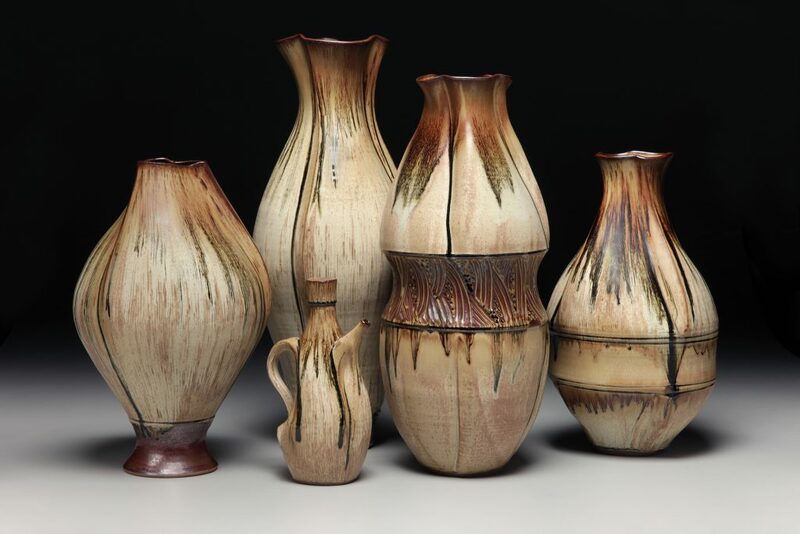 Due to the nature of this class it is limited to intermediate and advanced potters only. Whether BIG to you is defined as 18” tall or 35” tall, our only limitations will be our developed skills and of course your kiln dimensions. *Throwing in sections, creating forms to celebrate the join and forms with lines of integrity that completely loose the join. *Adding coils on the wheel to embellish your pots. *Good food that will include one shared meal. Workshop includes Bisque fire only ($100 bisque firing fee, your pots will be big). You will purchase Laguna clay here for this workshop. If you don’t have a kiln we will provide the option of a scheduled glaze day (Date: TBD) and firing day for an additional fee. *Cancellation Policy: full refund (minus $50 admin fee) up to 30 days prior to workshop, anything less than 7 days prior will result in no refund. Sarah Wells Rolland exudes passion for pots and people. She calls herself a “method” instructor. Teaching and mentoring skilled potters to become master potters is her primary goal. In a class with Sarah you can expect clear objectives, in depth demonstrations, encouraging group participatory critiques, and homework. “Making pots with excellence requires making a lot of pots,” Sarah says. 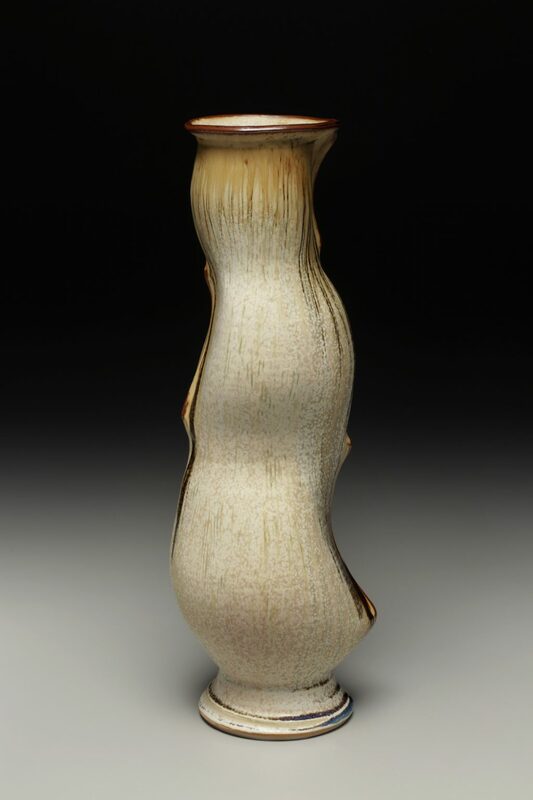 Her classes are for potters who have decided to take their skills to another level and develop original work. 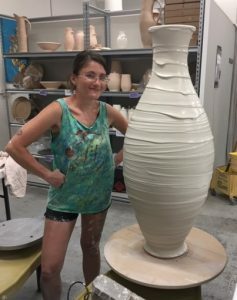 Tori Motyl and her pot from a previous BIG workshop.